The mobile app puts the power to save lives in the palm of your hand. How to walk 10,000 “steps” to better fitness. The most useful suggestion for activity or exercise is the one that matches up to your life most naturally. But that's the question with exercise isn't it? If your desire to exercise doesn't cause you to change your life, then how can it possibly make a difference? The underlying truth is that exercise seldom works if you simply drop an artificial exercise regime on top of a sedentary lifestyle expecting it to be a lifechanger. Something has to change. As in you have to change a little. It's called the “10,000 steps a day” program. Some corporations have adopted it for their employees, but anybody can use it. Here's the theory. Even total couch potatoes take a predictable number of steps each day. Fit people do the same. The difference in the number of steps is not so much a function of exercise. It's a function of how they life their lives. So, how many steps each day translate into the likelihood of fitness. The answer is about 10,000 which sounds like a lot. But even couch potatoes average about 2,000 a day. It takes about 2,000 steps to walk a mile and so 10,000 steps is about five miles. To reach 10,000, you don't have to quintuple the total from one day to the next. But add 500 steps every day. The object is to increase the daily rate. A good walk with the dog will work wonders. Buy a pedometer and track your steps. They'll add up. OK, so I am NOT going to wash windows to get in better shape. That's worse than jogging. Visit the American Red Cross website for more information and to learn how you can help. Go for a walk even when the weather is really cold – your body has to work overtime to get warm and you may burn up to 50% more calories than you would on the same walk in summer! But remember, go a little slower until you get warm and keep up the hydration. If you find it hard to get motivated to exercise in winter…just think of spring and how much harder it is to get back into shape rather than maintain your fitness throughout the winter. Be aware of tendonitis and stress fracture if you don”t exercise in winter and expect to pick up where you left off after a whole winter with no exercise. Instead of picking up a cup of hot chocolate to keep yourself warm, try a herbal beverage. Gain an interest in indoor sports as opposed to cycling and jogging outdoors. Don”t forget that swimming at an indoor pool is an option for a great cardio workout! The cold air and indoor heaters can dry out your skin. Make sure you drink at least 8 glasses of water each day and use moisturizers throughout winter. Buy some indoor plants to soften up the dry atmosphere caused through heating. Indoor plants give off moisture and oxygen and the colours will brighten up a dull day outside. Caught a cold or flu? If the infection is above the neck (nose, throat) you could be OK to complete a low intensity workout. However, if you have symptoms that are worse than an average cold (chest congestion, muscle aches), exercise will only make you worse and delay your recovery. Rest is the best medicine. Wear the right clothes when exercising in winter. Polypropylene is the perfect fabric to wear underneath a tracksuit, which will provide great insulation but minimise moisture loss. Gore-Tex is a fabric used widely for providing protection from the rain and wind. Feel like sitting on the couch with a video and snacking on a cold, wet day? Reach for a protein bar or packet of soy nuts instead of high energy, high fat snacks. Deciding to step up your physical activity is a great move for your health. It will take you to exciting destinations — like elevating your mood, increasing your energy, improving your sleep, and helping you manage stress. Balancing levels of serotonin, which creates a more stable frame of mind. Have you ever started your day energized and ready to go, only to be crashing by mid-afternoon? Many people experience this dip in energy. Not only is it a problem in how you feel, it also can hinder your work performance. You can beat the slump with consistent walking habits. More effective than any caffeine drink, exercise can provide long-lasting energy. In a recent study, previously inactive people increased their energy by 20% and reduced fatigue by 65% through a regular workout routine. When you’re physically active, your body actually responds by generating more energy. Head outdoors and walk in the daylight — it can regulate your body’s production of melatonin at night, allowing a deeper, more relaxing sleep. Studies also show that physical activity 3-4 hours before you go to bed can promote better quality sleep and a restful night. Managing your instinctual fight-or-flight response and providing a healthy way to expel negative emotions. Aerobic activity (walking, running, swimming, or cycling) and flexibility workouts (yoga or Pilates) both reduce stress. The physical benefits of exercise are well known — it’s your biggest weapon against weight gain and helps prevent many conditions including high blood pressure, diabetes, and high cholesterol. But exercise also offers benefits that can’t be measured on a scale or by a doctor — like mood, stress, and energy levels. Improve your outlook and your health with a fun, flexible walking routine. 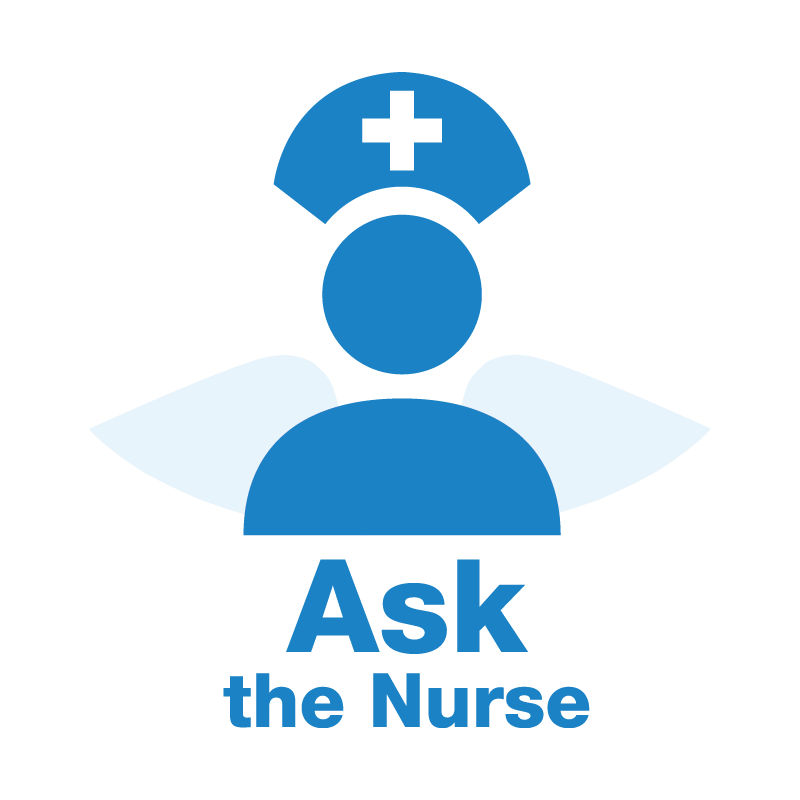 Do have a question you would like to Ask the Nurse? 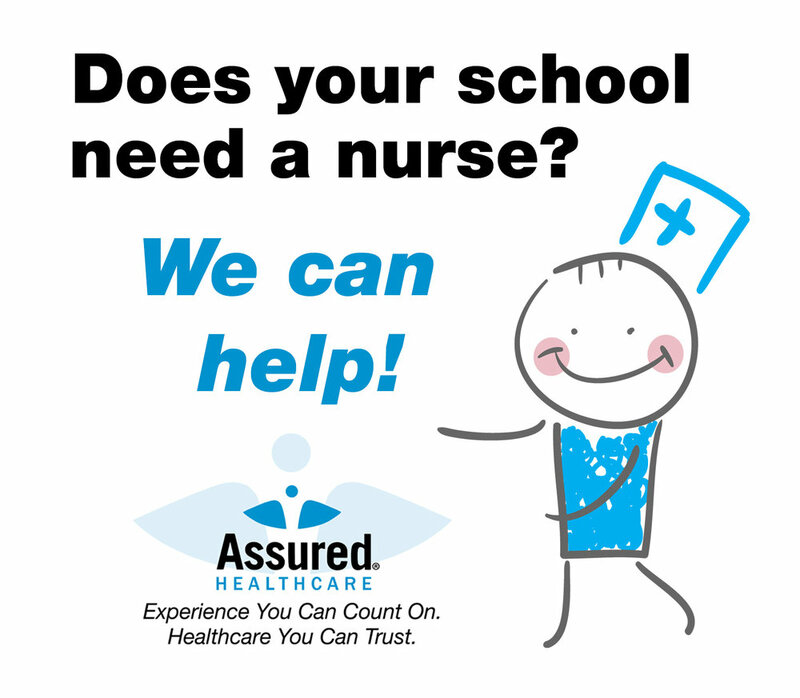 Email info@assuredhealthcare.com with the subject line "Ask the Nurse." Your glass is half full, not half empty . Eliminate negativity that is in your control. If it isn’t, change how you react to the negativity. Be intentional. Practice Mindfulness and being present in the moment. Be your own best friend - treat yourself as kind as you do your best friend. Spend time with friends, laugh, volunteer, and nurture others and your spirit.